Hello, Appel Blossom is up and running! 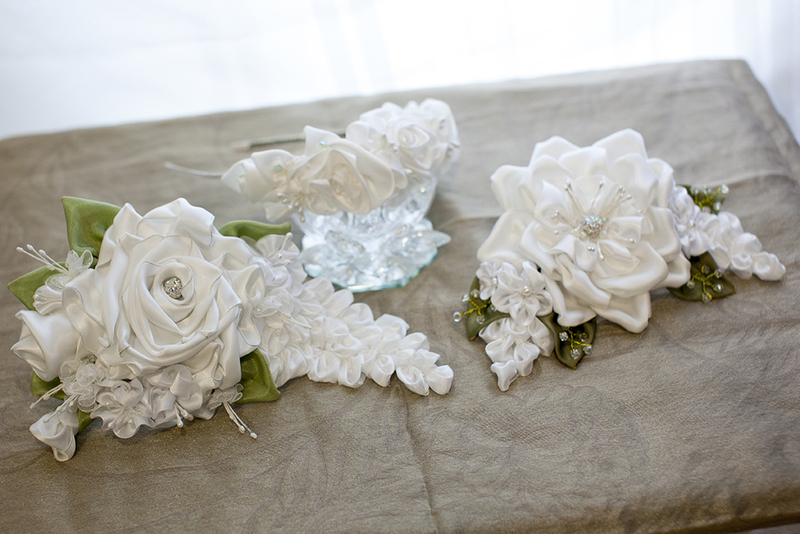 The first ribbon blooms are ready and uploaded and in the next few days I will be adding the White Wedding collection of blooms for your hair, hats, corsages , gifts and embellishing and customizing your wedding dress for that one of kind look! While white is the traditional color for wedding, the trend is for colorful and bold. Appel Blossom can create that for your wedding as well. Coming after that, my eclectic jewelry collections. We have collections of ribbon flowers, sprays that coordinate well with any style from classic, chic to vintage, steampunk and goth!! Watch for our Grand Opening sale and a giveaway to enter where you can get some lovely things at a discounted price to celebrate the opening! If you have anything special you would like to have made just contact me. I will be adding new things all the time so stop by often to check us out.